So apparently I have been living under a rock because I did not know about this magazine until this week. Astrid & her mom were shocked that I hadn't heard of it and after seeing it, I am pretty shocked too. It is pretty awesome. Very nice to flip through. I am a fan. Kaylah & Andrea both posted about this beautiful shop recently and I am sold. It is full of pretty shirts and dresses! I am a huge fan of frosting/icing and all things chocolate and coconut so this dessert sounded so good to me. I made it last night when we had my dad & step-mom over and I was tempted to not serve it so that I could eat the entire bowl. Danger. I did end up sharing it if you are curious. 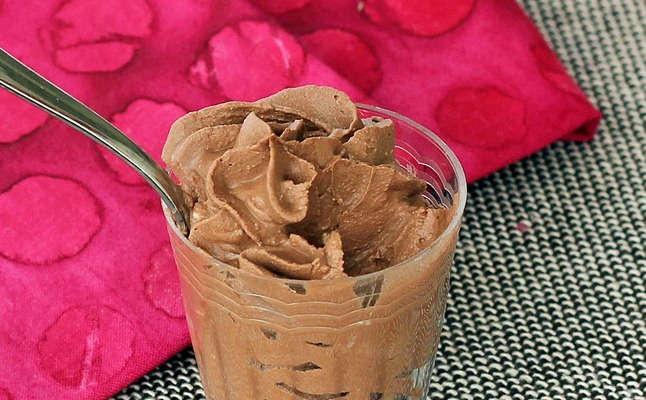 The recipe says that you could use this as frosting for cupcakes or serve it as a chocolate mousse. We had it as a mousse and I loved it so much. You may have already gathered that from the part where I said I wanted to eat the whole bowl. I am pretty crazy about the colour and patten on this dress. The shape is pretty fancy too, I think I see some pockets! 1. Danielle's pretty crochet bedspread. Just as a side note...I think Danielle's blog may be the prettiest thing on the internet. I love this bedspread she is working on and I feel her on making a bedspread for a King sized bed! I am still working on my granny square afghan for our bed! I'm off to listen to some records and dance around my living room because I do cool things like that fairly often. Don't worry, I'll do some productive things today too. It's not just all dancing and playing with cats around here. What do you have planned for today? Such lovely things. That bedspread is pretty special. that afghan gives me anxiety. I several granny squares that have been sitting in a bag for like 6 months now. CRAFTERS GUILT!! I have a lot of "to do's" today and WILL get them done bc I am taking myself on a date tonight. Happy Friday! Did you say coconut? Today is a full one with lots of musts to do, however I am starting with finding a home for a newly thrifted paint by #s... little giddy over it (on blog today). I completely agree with you about Danielle's blog! It blows me away with it's beauty! Goodness Yana of Supayana is incredible isn't she? Have a fun dance party! I'm not cool enough to play records on an awesome player like you've got, but I do think a Boosty Collins dance party may be in order here at the Deal house! You would look adorable in that dress from Modcloth. Especially with, dare I say... white hair! Happy Friday the 13th! I'm buying a plane ticket to Boston [later] today if I ever get out of the office. Heh. Also tomorrow is the record swap / meet in town so I'm going to go digging. I was pretty excited to dig up Rapper's Delight [Sugarhill Gang] this week as well as a Police LP. My thrifting adventures seem to see me peeping music set ups, like old speakers I can revamp, and cameras more than clothes this spring! Now I'm wondering what's in your record collection !! Ahhh that granny square is a gem!!! 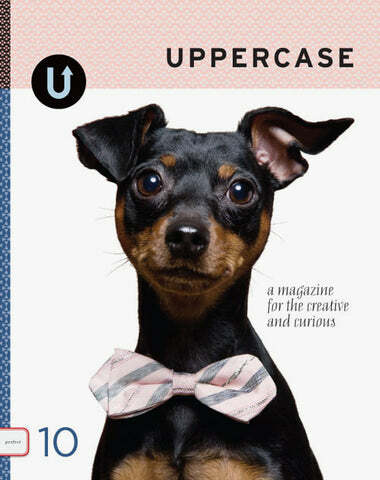 I hadn't heard of Uppercase magazine, either. Generally, I attribute that to being in Alaska (we have a 5 year delay on new things here even with the internet). Sounds like something to check out! Thank you, thank you, thank you for the recipe!! I'm really excited to try this out. I love coconut and chocolate! The crocheted bedspread is gorgeous! I know the feeling of making a crochet king size blanket! It took me 2 months to complete and I kept dropping random things from crocheting too much! I wish I had the attention span to crochet an entire afghan! Danielle's blog is an amazing, vintage/crafty paradise. I recently did an outfit post with a top I bought from Supayana, it's so beautifully made and I want so many more things!